Testing for the 2017 MCE British Superbike season is set to get into full swing next week with most teams heading out to Spain for their first tests of the year. While some teams have already been out in search of warmer climates for testing, including championship favourites Be Wiser Ducati and JG Speedfit Kawasaki who tested in Spain and Portugal in January as well as PR BMW who hit Spain earlier this week. A majority of teams will be present for all if not some of the annual Cartagena Pro-Test, which takes place between the 1st and 5th of March. McAMS Yamaha duo James Ellison and Michael Laverty will be out on the Murcian circuit for their first rides on the YZF-R1 Superbike they’ll race this year. Laverty had a quick spin out at Calafat on a Superbike/Superstock machine last week but he’ll get his first taste of the full fat Superbike next week as he’s joined by Ellison who returns from a winter in the US. Leon Haslam and Luke Mossey will return to the track for the first time since their Spanish shakedown test at Jerez with the JG Speedfit Kawasaki team before heading to Guadix later in the week. Having been out for two brief tests in the cold at Mallory Park, Sylvain Guintoli will be out for his first proper outing on the all-new GSX-R for the Bennetts Suzuki team, he’ll be joined by team-mate Sylvain Guintoli and the team’s sister outfit rider, Brad Ray who will ride in Buildbase colours. 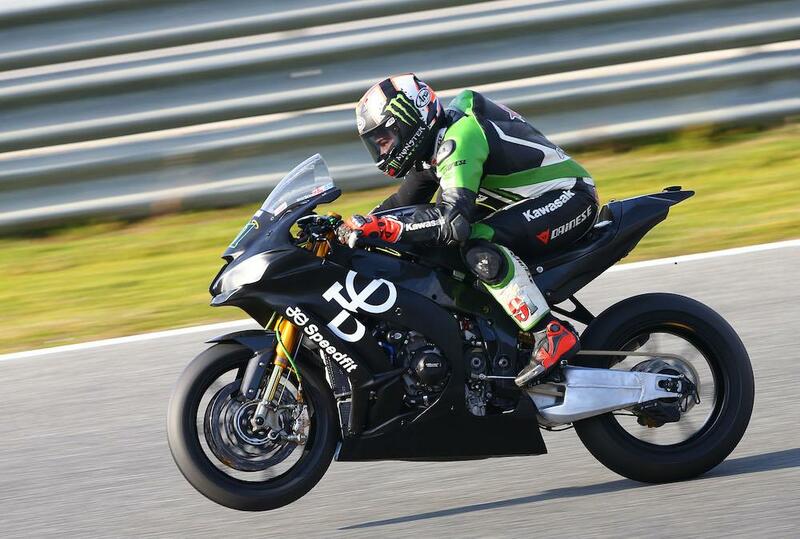 Michael Dunlop will also be present to test his Isle of Man TT steed. The Hawk outfit will then move on to Almeria for further testing. Heading to BSB from the Superbike World Championship, Davide Giugliano will get his first taste of the Tyco BMW S1000RR alongside Christian Iddon, while John Hopkins will make an appearance with the MotoRapido Ducati team for the first time since his Brands Hatch podium in 2015. Smiths BMW duo Peter Hickman and Lee Jackson will make their debuts for the Gloucester-based team at Cartagena before they join JG Speedfit Kawasaki and others at Guadix. As is tradition, Honda’s BSB effort will test privately at Monteblanco between 8th and 12th March, while Josh Brookes will make his debut for Anvil Hire Yamaha at Jerez towards the end of next week. Five-time British champion Shane Byrne’s Be Wiser PBM Ducati team isn’t currently scheduled to head back to Spain with the bike heading to and from Italy for development work. At present, Byrne and team-mate Irwin’s next run out on track will be at the official Donington Park test on March 22nd.